The Mafia in the United States might be a shadow of its former self, but in the New York/New Jersey metro area, there are still wiseguys and wannabes working scams, extorting businesses, running gambling, selling drugs, and branching out into white collar crimes. And they are continuing a tradition that's over 100 years old. Some of the most powerful mobsters on a national level were from New Jersey, and they spread their tentacles down to Florida, across the Atlantic, and out to California. And many of the stories have never been told. 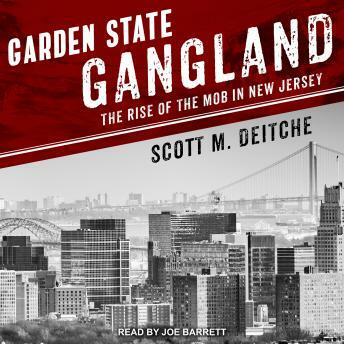 Deitche weaves his narrative through significant, as well as some lesser-known, mob figures who were vital components in the underworld machine.